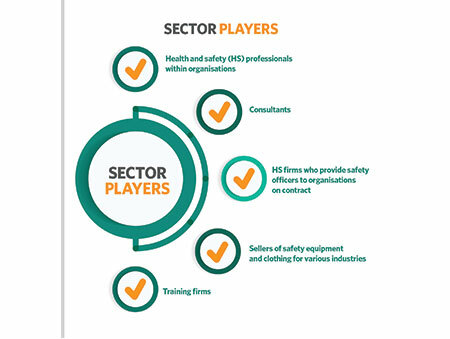 The Health, Safety, Security and Environment sectors provide goods and services that contribute to the well-being of individuals, organisations and the society in general. The condition of these sectors is closely related to Government policy, whether through direct investment, in the case of the health sector, or through regulation. Trinidad and Tobago has a large public health system and a smaller but growing private system. In April 2018, the Government announced that it would repurpose the recently constructed Couva Children’s Hospital to become a teaching hospital, working in collaboration with The University of the West Indies (The UWI). In addition, Government is considering making the hospital a fee-based facility and using it to develop a medical tourism industry. The procedures and technologies in the health sector have advanced in recent years. Procedures such as minimally invasive surgery, neurosurgery and interventional surgeries are widely available and accessible. However, there is a considerable difference in access between private treatment (which is expensive) and public treatment (which is free but limited in terms of resources). Over the last decade, the services available in private hospitals and medical centres have expanded dramatically. Patients can receive complex surgeries and other advanced procedures. They have access to excellent facilities and experience low wait times. Private care, however, is costly. A 10-day stay in an intensive care unit of a private facility can cost as much as $300,000, putting it well beyond the reach of the average citizen or those without health insurance. On the other side, the public health system provides for the needs of most citizens of Trinidad and Tobago at no cost to them, even for extremely advanced, expensive and pioneering procedures. However, budgetary constraints hamper its service delivery. Public facilities are limited in terms of equipment, medication and personnel. A shortage of sub-specialists in areas such paediatric oncology, vascular surgery and many others. Emigration of well-trained and experienced nurses to the US and UK for employment opportunities and better remuneration packages. On the consumer side, the demand for affordable and accessible healthcare has in the last five to 10 years led to the emergence of small practices in rural and outlying areas that provide a range of medical services. However, the quality of care in these practices is sometimes questionable. Analysts see a need for more public investment, as the system will be increasingly strained by the needs of citizens for quality health care, and the needs of medical professionals for employment and advancement opportunities. Overseen by the Trinidad and Tobago Occupational Safety and Health Authority and Agency (OSHA). The OSH Act and OSHA have played an important role in the development of the safety sector in recent years because regulation and enforcement are powerful motivators for compliance. Several industries have seen major improvements in their safety practices, although some continue to perform better than others. The energy sector in particular, has been a leader in compliance with health and safety regulations for some time. This can be attributed to the nature of the industry and its hazards, as well as the influence of multinational corporations. Multinationals must comply with the safety laws of their parent country and in turn require compliance with those laws from local partners, subcontractors and suppliers. There has been great improvement in compliance with the OSH Act as the OSH Authority’s enforcement activities have increased. However, there is still major room for improvement. Safety analysts say the future of health and safety should entail the progression from compliance to proactive strategic planning and management of risk in the workplace.